Wallace Park in Lisburn is my home course. 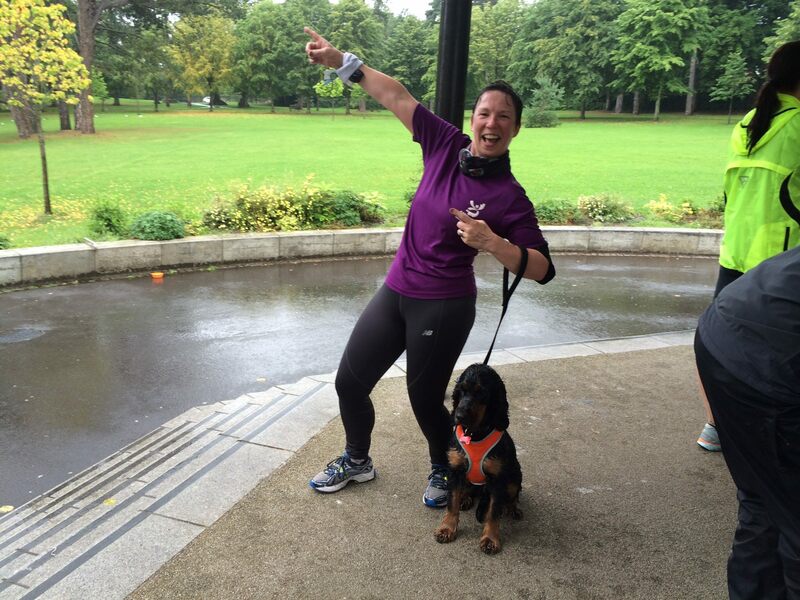 My first ever parkrun was Wallace’s 2nd event, which I ran in a time of 34:31. The following week I took my Weimaraner, Max, with me, as he is a super companion on my long runs. However, drama-raners are very emotionally sensitive creatures, and all the adrenalin and hi-viz gear really unsettled Max, and he strained at the leash, howled and yelped the whole way round the course. All that stress added a few extra seconds to my time. 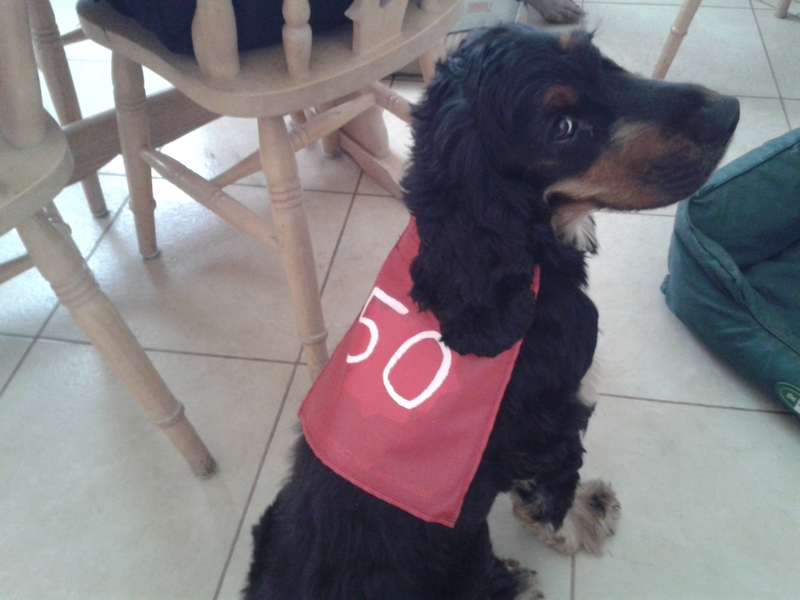 It was only when I started bringing along my younger dog, Mini the cocker spaniel, that my times started to improve, and she has been my faithful companion for over 50 parkruns now. 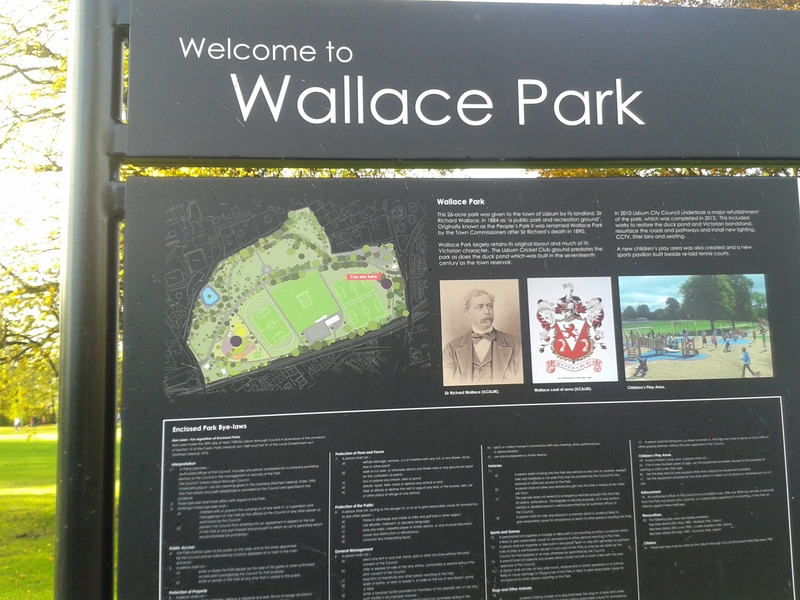 Wallace Park is near Lisburn city centre, and the back gate to the park is beside the railway station. Car park spaces can be limited, especially if there’s a football match going on. It’s a beautiful park with some stunning old trees, but the paths can sometimes be slippy especially in winter. 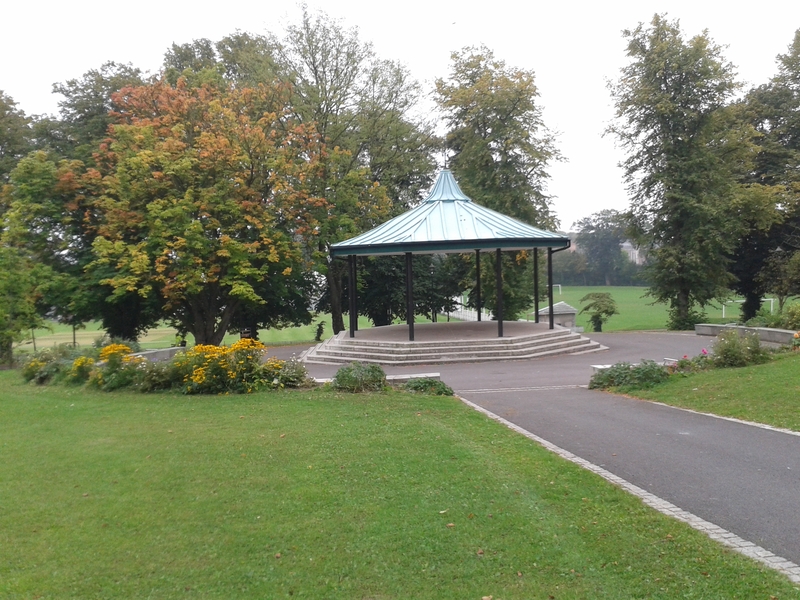 Briefing and post-run chat takes place at the bandstand. The course is one small inner lap, followed by 3 large outer laps. These encompass the notorious car park hill, which is a real toughie the third time round. At the top of the hill there’s a nice flat stretch before reaching the duckpond, from where it’s a fast downhill section past the back gate and its little gate house, along the side of the railway embankment where there’s an ever so slight incline, and round the outside of the football pitch. 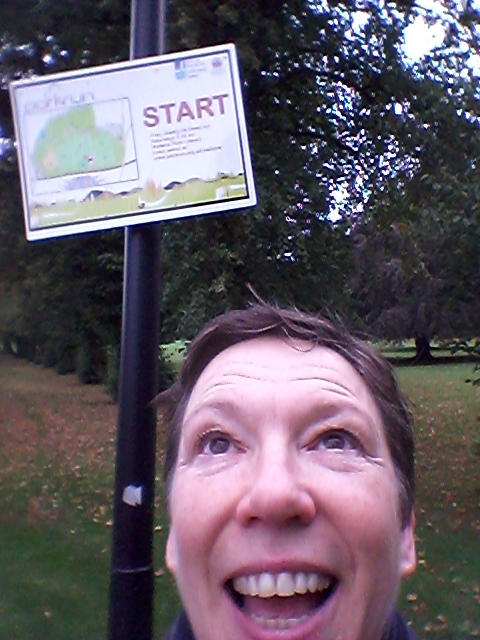 There is a metal start and finish sign, and wooden markers at each kilometre. When I started out I had the dogs on an ordinary short lead, but one of my favourite bits of kit is the waistband hands-free leash. Being able to use your arms is important for running well. After cursing at MapMyRun on my phone too many times, I invested in a Garmin watch, and treated myself to some bluetooth cordless headphones. But the best bits of kit are those which keep me warm on freezing cold days – light gloves, a headband, and my sweat/wristband which has a handy pocket for keys, money, poo-bag etc, and which I use to wipe either my nose or my sweaty brow, depending on the time of year! Kate Bush’s “Keep Running Up That Hill” is one that makes me smile here, as does Daft Punk’s “Harder, Faster, Stronger”. It has been consistently running Wallace that has made me a better runner, and I try to go faster and harder each time. There are regularly just over 100 runners, which is just a nice size of a group. I’ve made some fantastic friends amongst the runners and volunteers, and there’s always some good banter over a cuppa afterwards. And someone usually provides biscuits to celebrate 50 or 100 runs! My times have gradually got better. This is the result of many factors, including losing some weight, persistence in going along each Saturday, doing other training during the week including core work. But sometimes a good run just happens. 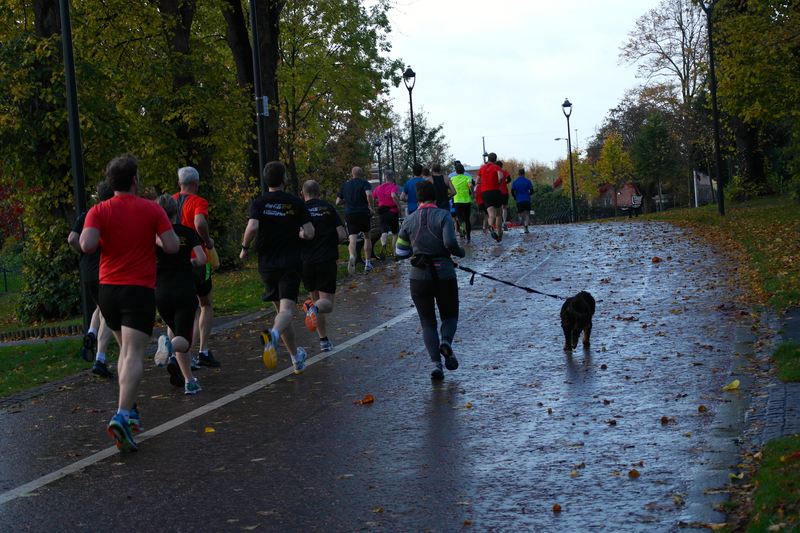 One morning I wasn’t particularly prepared for a fast run, but I wanted to go along as I knew some friends from Waggy Races would be there, including Zola, their gorgeous Samoyed. We set off – I tend to go off fast and out to the right, keeping out of the way of the front runners, until we can find a good space to slot into. 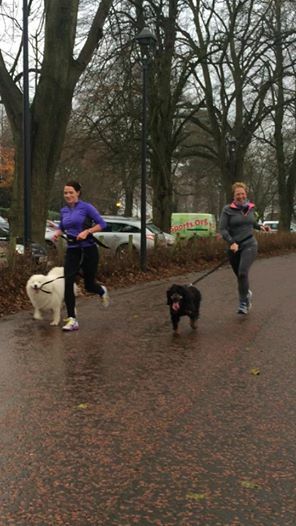 Zola overtook us, and Mini clicked into chase mode and kept up the pace. Zola stopped to inspect something near the back gate and we raced ahead. They overtook us again, and we tried to catch up. This was repeated on each of the 3 laps, and made for a very exciting neck-and-neck, paw-and-paw race, and managed to cross the finish line in under 25 minutes, a fantastic PB (at time of writing…..), and an age graded percentage of over 70. 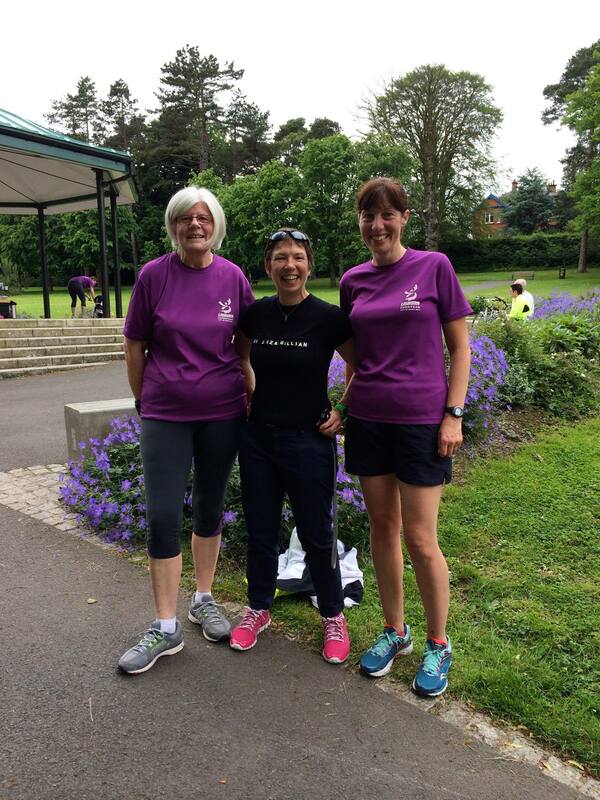 I’ve had many stand-out moments at Wallace, and was inspired by 2 groups who have run it as part of a tour of all the NI parkruns. I’ve also been lucky enough to have my husband photograph some of the runs, so I was able to put together my favourite pictures into a video montage.